Controlled Climate Limited offer all air conditioning services in Bristol and Bath, helping you find the most affordable, energy efficient, air conditioning and heating solution for your house, business, conservatory, or garage in the Bristol and Bath area. Our trained and experienced Bristol air conditioning based technicians will complete an on-site survey, making cost-effective, energy-efficient recommendations, with detailed specifications of the project, so you will know what to expect from start to finish, and exactly how much it will cost. We pledge to always be honest and trustworthy in all of our dealings with our customers. All of our air conditioning solutions will be a bespoke, tailor made design, as we understand that no environment, or client is the same, our air conditioning evaluation will take your space’s needs into consideration, along with how the space is used, as well as the budget. While some environments are technology heavy and require commercial-grade solutions, some require lighter solutions. We will help you find the right solution. And, to ensure that you are totally satisfied with the quality of service that we perform, we only use experienced and certified technicians. With over 16 years’ experience providing affordable air conditioning systems and solutions, you can count on Controlled Climate Limited to deliver on-time, on-target, and in-scope solutions within budget. Before we can make a recommendation or start on any work, we must first thoroughly evaluate your site to ensure that any solution that we recommend is specific to your needs, because we don’t believe in one-size-fits-all recommendations. At that time, a certified and experienced technician will listen to your concerns and ask questions that will determine which affordable air conditioning solution is best for your site and your site’s needs. We respect our customers; therefore, we will never commence any work without getting prior approval in writing. Once we get written approval, only then, will we begin the work. Whether in-person, via facsimile, or by e-mail written approval is required. 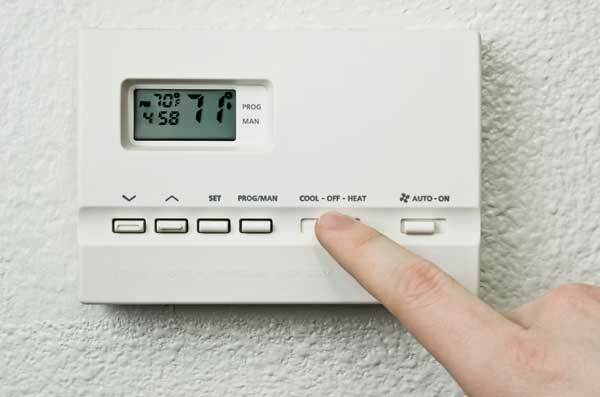 After evaluating your site’s specific needs, we will service your existing system or install a new energy-efficient system—and, at all times, you can rest assured that it will be the most cost-effective solution for your needs. After we complete the service or installation, we will test the solution to ensure optimal performance—and, of course, your complete satisfaction. And, if at any time, you are not satisfied with the quality of work, you are more than welcome to share your concerns with us, and we’ll do our best to remedy the situation promptly. Though customer dissatisfaction is an uncommon occurrence, we happily extended our commitment of customer satisfaction to all of our customers. Remember, at Controlled Climate Limited, we want to exceed your expectations!